Flushed! 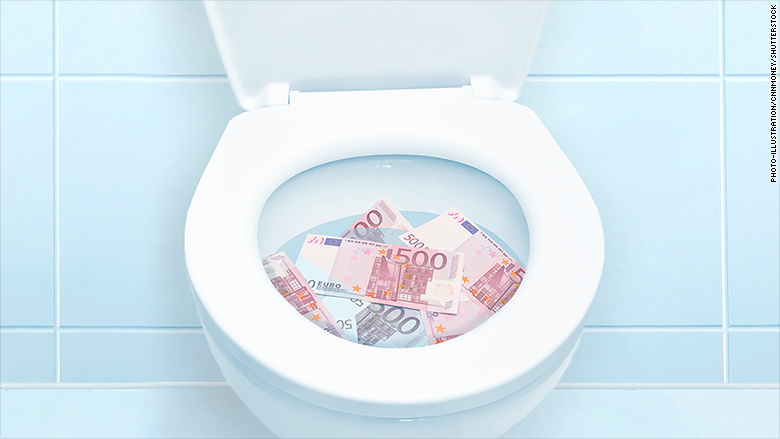 Why did two women deposit €100,000 in Geneva toilets? Swiss authorities are investigating a series of bizarre deposits. Investigators in Geneva are trying to understand why two Spanish women flushed roughly €100,000 ($120,000) down toilets at a UBS bank branch and three nearby restaurants. Vincent Derouand of the Geneva Prosecutors' Office said the first incident involving cut-up €500 bills occurred in May. Security camera footage led investigators to the two Spanish women. Derouand said that a lawyer for the women confirmed the cash belonged to them. "It may be illegal [cash] and they tried to get rid of it," Derouand said. "We have to check where the money is coming from." Derouand declined to identify the women. "This is a strange story," he said. "It does not happen often." UBS (UBS) declined to comment on the cash found at the Geneva branch, citing the ongoing investigation. Swiss authorities are investigating why two Spanish women flushed roughly €100,000 down toilets in central Geneva. The European Central Bank plans to kill off the €500 note next year because of concerns that it "could facilitate illicit activities." 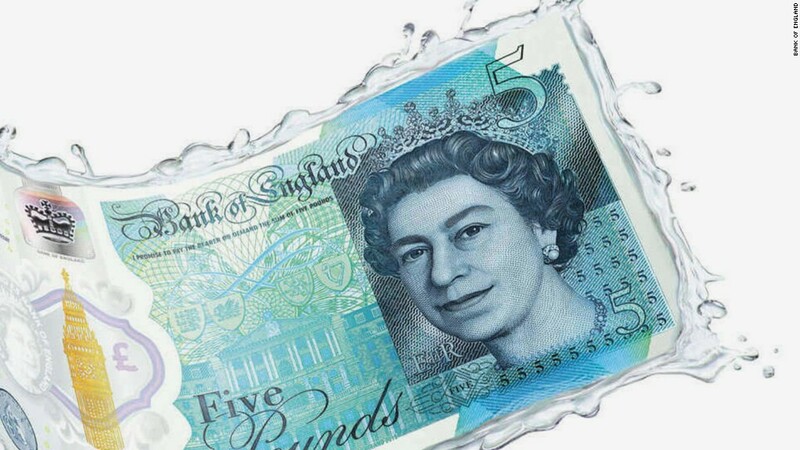 Europe's top law enforcement agency says the note (worth about $600) is often used by money launderers because of its unusually large denomination and portability. Plus, using cash helps criminals keep transactions and savings anonymous. In a 2015 report, Europol said cash was still the "instrument of choice" for terrorists and €500 bills were in high demand. Switzerland was long known for banking privacy laws that made it possible for banks to refuse to hand over their customers' data to authorities. But in recent years the country has agreed to start sharing financial information with outsiders, including the European Union and the U.S.